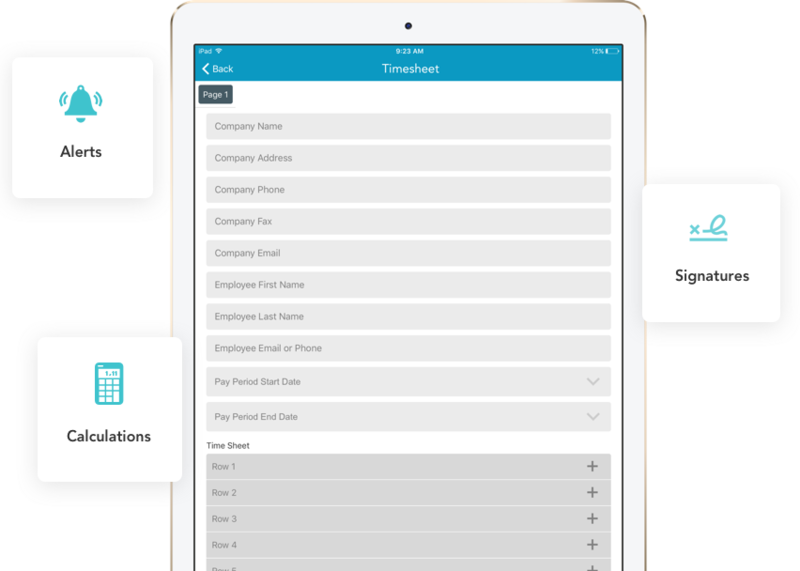 Easily submit and approve timesheets from your mobile device or online. 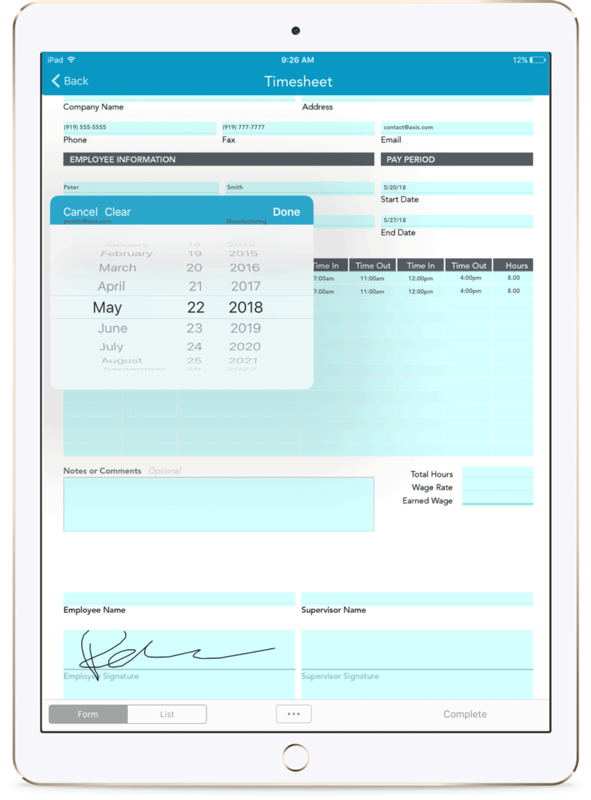 GoFormz mobile timesheet templates are designed to work on phones, tablets, and the web. 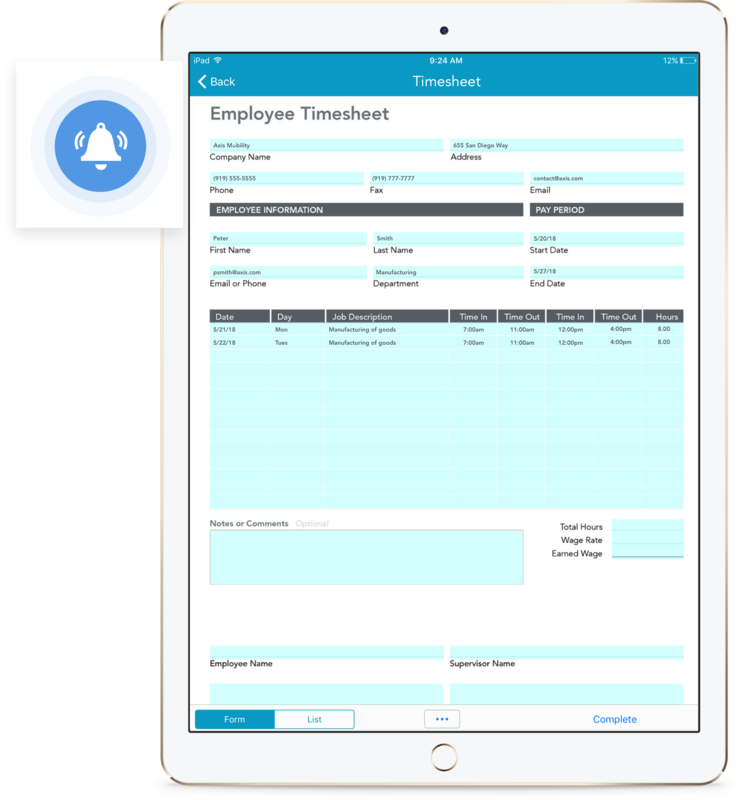 GoFormz timesheet templates make it easy, fast and efficient to digitally track and approve employee hours, in real-time. 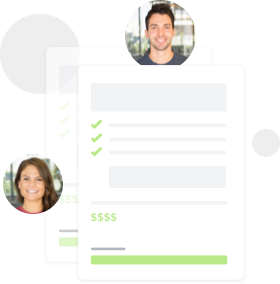 Streamline payroll workflows, reduce inaccuracies and track overtime –– all from your mobile device. 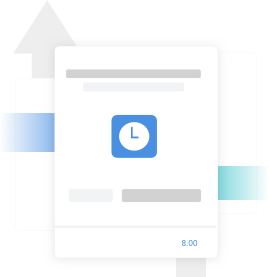 Automatically route completed timesheets to supervisors for approval –– decreasing administrative delays and demands. 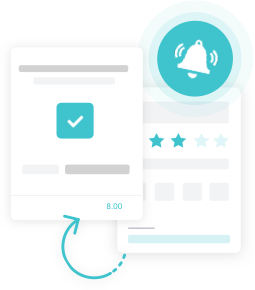 Enable alerts to notify users when a timesheet has been completed, improving response times and approvals. 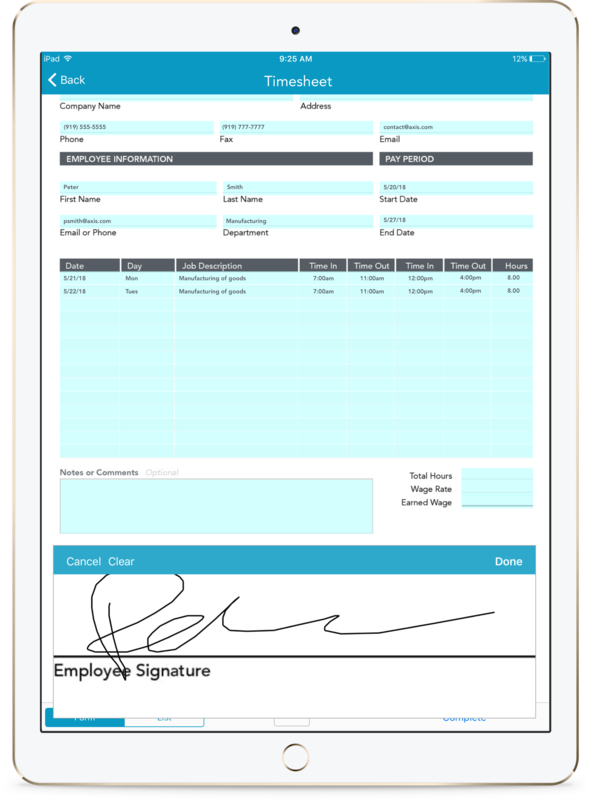 Quickly capture timesheet approvals with digital Signatures and Required fields. Effortlessly automate calculations of hours worked, notify supervisors to overtime hours, and include Dropdowns pre-filled with data. Quickly input frequently entered information with Dropdowns pre-filled with data. Easily fill timesheets with work hours completed, and let GoFormz crunch the numbers. Try our digital timesheet template, or upload your own! Rapidly enter hours worked, with a simple tap.